IT'S SHOW TIME FOR GARDENERS! RHS Hampton Court Flower Show opened to the public on Tuesday and finishes on Sunday and it's been a good year for us with Fryer’s Roses awarded a Silver Gilt or its ‘Stop and Smell the Roses’ display. Hot on its heels is the RHS Tatton Flower Show, held at Tatton Park in Knutsford, which starts on July 18 and runs until July 22. The show is celebrating its 20th anniversary this year, so the show is bound to be extra special. 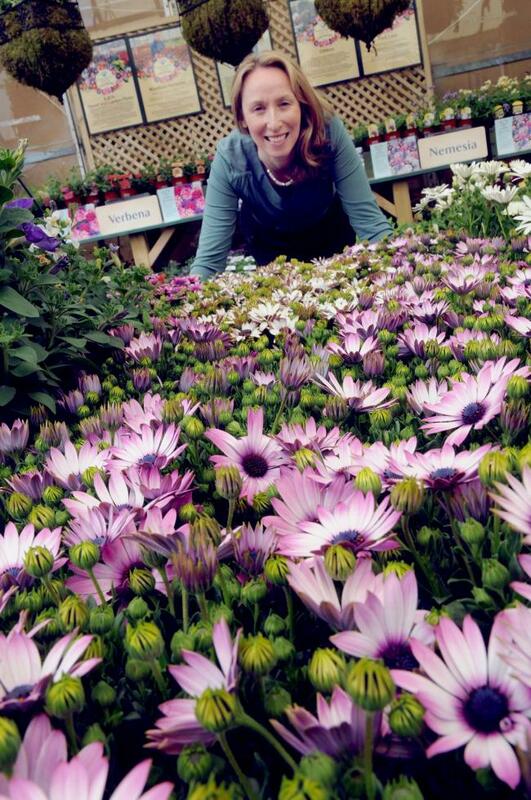 RHS Flower Shows are a great place to find inspiration for your next gardening project, to buy a newly launched plant or to relax with friends, soaking up the feeling of wellbeing that gardening brings. Fryer’s Roses will be displaying and selling some beautiful roses, including the new releases, Eirene, Sarah Elizabeth, Elizabeth Ashbrook and the 20th anniversary rose at the RHS shows. Visit us at Stand TP 369 in the Plant Village at Tatton. The weather has certainly been perfect for relaxing in the garden but perhaps not so for strenuous gardening. A quick and simple way to inject, low labour-intensive, colour into your garden, is to buy pre-planted hanging baskets and containers. Roses too look fantastic in containers and are suitable for any size garden or patio. Just keep them well-watered and dead-headed for continual blooms well into September. Other popular plants to buy in July include clematis. They are great climbing plants and make an effective wall covering or can be trained over pergolas. Clematis come in a wide range of colours and flower shapes and sizes. Look out for the newly launched ‘Sarah Elizabeth’ clematis, launched by Raymond Evison at RHS Chelsea. Hardy fuchsia, is another gem of a plant, amazing in summer containers and hanging baskets but being the ‘hardy’ variety, also has the resilience to be able to survive the eventual winter frosts. Rudbeckia, part of the sunflower family, known commonly as ‘black-eyed Susans’ and ‘Coneflowers’ are an interesting addition to any garden this month. These are herbaceous plants, most commonly, perennial. Think bright yellow with a prominent brown or black, cone-like, raised centre. What is especially great about these plants, is that they thrive in dry, hot weather, having originated from the dry, Savannah Grasslands of North America. Echinacea, a group of herbaceous plants belonging to the daisy family, also love the sun. These, along with rudbeckia, add a great splash of colour to the garden. Look out for echinacea ‘summer cloud’ and echinacea ‘summer cocktail’ to name but a couple. Another lover of dry, hot conditions are plants which belong to the sempervivum family. Meaning ‘always living’, these succulent perennial plants make for a great ground over plant or statement in any dry, sunny position. Look out for the amazing ‘column cactus’ and ‘cereus euphorbia’, both drought loving plants. For a bit of the exotic, consider the ‘red hot poker’ plants (kniphofia). Colourful, vibrant and flowering from March to November, these add a wow to any garden. So, grab that sun hat, smear on the factor 50 and enjoy what the RHS show and your garden has to offer. It's been a tough time for us gardeners over the past couple of months. ‘The Beast from the East’, followed by the ‘Mini Beast from the East’ have made for challenging conditions, not least in the garden. I am sure I am not alone in having spent very little time in the garden this year to date. But all that is about to change. Spring is in the air – it’s official – the clocks have gone forward and Easter is this coming weekend. I have renewed vigour and positivity about me and I am desperate to get gardening. Which is just as well and April is traditionally a busy time in the garden. Why not start by adding instant colour to your garden, patio or balcony with containers and hanging baskets? 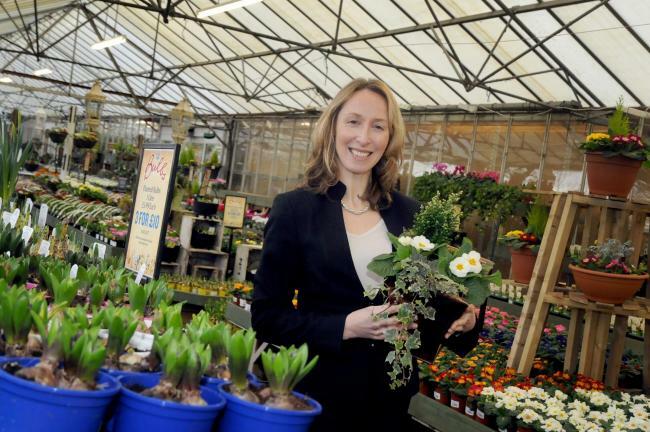 Fryer’s Garden Centre has an array of pre-planted containers and hanging baskets. These also make ideal (non-fattening and sugar free) gifts for Easter, or why not treat yourself? If you prefer to plant your own container choose vibrant bedding plants such as primrose, viola, pansy, geranium, marigold, senetti and lobelia are fantastic now for immediate colour. Herbs also work well in containers and make for a useful culinary and aromatic addition to any garden. Choose from mint, chives, sage, rosemary, thyme and coriander to name but a few. 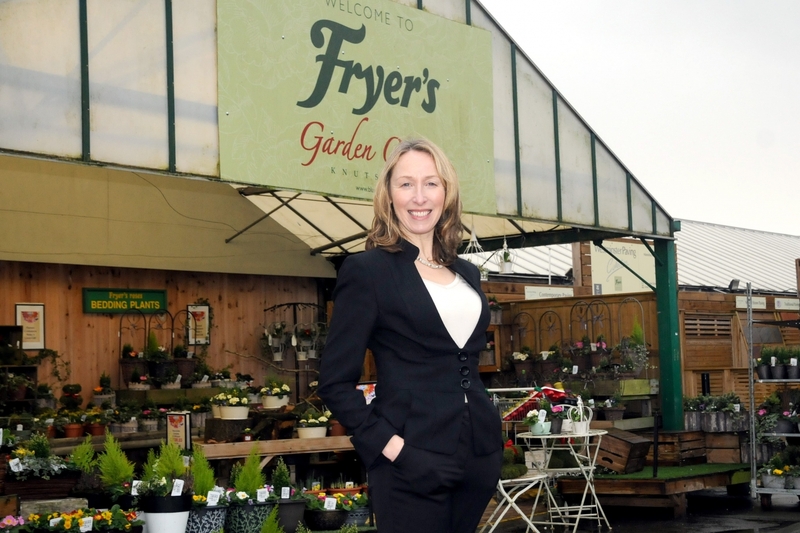 Herbs can be grown from seed, sown up until mid-April or if you do not have the time or suitable conditions to grow seeds, Fryer’s sell a range of young/plug herb plants. Shrubs such as Ceanothus and hebes are also a must at this time of year. Ceanothus produces masses of beautiful blue flowers from April through until June and is the perfect haven for bees. Hebes have wonderful brightly coloured foliage now and will flower late spring, early summer onwards. Alpines such as armeria, a pretty pink flower and saxifraga, a star shaped pink flower with a deep red stem, both flower late April and look stunning planted in troughs or old Belfast style sinks. For the classic blue Alpine flower, aubrieta is a must for any garden. Tumbling waterfalls of blue, (also comes in pink, lilac and white) look fantastic in containers or over walls, hedges and in borders. For evergreens consider azalea such as hot shot and the perennial wallflower, boules mauve, the latter flowering April through to September. The deciduous Azalea, pontica luteum is a wonderful highly fragrant, yellow plant which flowers late April onwards. A real addition to any garden. If you would rather plant direct into the garden (and all the plants mentioned above are suitable for in ground planting too), I like the dwarf rhododendron. The compact growth of this shrub makes them ideal for smaller gardens. They can be planted as a stand-alone feature or in borders with taller shrubs and foliage. Look out for varieties such as percy wiseman, dreamland and ginny gee. April is a good time to sow vegetable seeds outdoors. Seeds that were recommended to be sown in March can still be sown in April. These include, amongst others, beetroot, carrot, turnip, leek, radish, salad leaves, leeks and broccoli. Again, if you do not have the time or suitable conditions to sow seeds, buy young vegetable plants. Tomatoes and strawberries are also a good buy in April too. Children and grandchildren will enjoy spending many a happy and messy hour planting seeds and vegetable plants. So, get them involved in gardening, you are never too young or old to start. Seeing the fruits of their labour a few months down the line, may even tempt them to eat their greens and not just their stockpile of Easter eggs. Well anything is worth a try! And finally, before you put your feet up, April is a good time to give your lawn its first cut of the year and tidy the edges. Feed with a strong fertiliser such as Scotts Lawn Builder and treat for moss with something like Evergreen Liquid Feed and Moss. • For more information, visit fryers-roses.co.uk. Have you noticed how evocative smells can be? The smell of a favourite aftershave or perfume can instantly bring the wearer to mind. The smell of certain plants too can evoke strong memories. My favourite smell – and one which reminds me instantly of my grandad Jack and his allotment in Yorkshire – is the sweet pea. A delicate flower which comes in a rainbow of colours and has the most beautiful scent. This flowering climber can be grown up pea sticks or cane wigwams and so is perfect whether you have a garden, patio or balcony, creating a very on-trend cottage garden feel. March is the perfect time to sow sweet pea seeds outdoors, or buy young plants from the likes of Fryer’s. By mid-summer you will have sweet pea flowers which will continue to flower for many weeks (with a spot of dead heading to help prolong the flowering time). The heady smell of roses too, is one well remembered from last summer’s blooms (if not from Valentine’s Day – my hints were not taken again!). Although roses are not yet in bloom, now is the time to start thinking about planting them. When I asked a number of my friends, ages ranging from 35 to early 40s, if they buy or even know what bare root roses are, I received blank looks and yet when I made similar enquiries of the slightly older generation, namely the grandparents, they were on the whole, fully aware of what they were and indeed were buying them by the dozen. For the uninitiated, bare root roses look like twigs with roots. They are dormant rose bushes which are available, and can be planted, from November through to the end of March. Bare root roses are easier to plant as they are less prickly and so are easier to handle. They usually come in a few pounds cheaper too. Plant bare root roses in March and by the summer you will have a garden full of heady blooms. For those struggling to think of the perfect Mother’s Day gift, the rose ‘My Lovely Mum’ or ‘Mum in a Million’ are the perfect choices – although I would buy the potted version of these roses as aesthetically, they look better than dormant twigs! Smell isn’t the only sense that is awakened at this time of year. Colour is starting to sprout everywhere in the form of daffodils and primrose, a sight to behold. Those daffodil bulbs planted late last year are now starting to flower. If you didn’t get around to planting bulbs, then cheat. There are some beautiful containers full of spring bulbs such as Tete a Tete to choose from. Daffodils look even more beautiful when primrose are underplanted among them. Varieties such as primula veris and vulgaris, otherwise known as cowslip primrose or English primrose, and the native primrose are the perfect buy this month. The pale-yellow flower of the native primrose compliments the vivid yellow of the daffodil. Add some contrast to the yellows with campanula addenda, a plant with gorgeous, star-shaped petals of violet/blue and white centres. Seasonal perennials too are an easy way to add more variety, texture and colour. Think geranium, astrantia and oriental poppy. Most Perennials live for two years or more and make an ideal focal point to garden borders. The colourful petals and scents from these early spring flowers also provide a valuable source of nectar for awakening insects such as bees. Then there’s touch. Adding texture to a garden, patio or balcony can create focus and interest. Buxus is popular as a formal hedge plant and looks stunning in containers or clipped into shapes. Ferns and ornamental grasses give a more relaxed feel and can provide an eye-catching juxtaposition to the colourful perennials. Finally taste...March is the perfect time to buy and plant herbs. Herbs can be grown in the smallest of spaces, such as a window box or container (and you could save a small fortune if you plant/grow your own instead of buying fresh herbs from a supermarkets). So, awaken your senses this month. Smell, look, touch and taste your way around the garden and then sit back and listen to the compliments from family, friends and neighbours! One of my new year’s resolutions (aside from the usual eating more healthily and getting fit), is to spend more time outdoors and what better way to do this than to get into the garden. January and February is the time to give the garden a good spruce and tidy up. Those wet leaves can be raked away, trees, shrubs and old foliage pruned, patios swept and greenhouses and sheds organised. After a day or so spent doing the ground work, your garden should look much more refreshed and all that exercise and fresh air should start to make you feel more revitalised too. Spending time outdoors and in the garden, is purported to be good for the mind, the soul and I suspect the waistline...it’s tricky to eat chocolate while wearing gardening gloves! Now for the fun bit, (this may involve some retail therapy), it’s time to start planning and planting. February is the ideal time to experiment with planting spring and summer bulbs. Buy loose bulbs which you can pick and mix yourself for a truly individual feel or for ease, buy pre-packed. Decide whether to plant straight into the ground or into a container and go for it. It really is as simple as that and the best thing about bulbs at this time of year is that once planted, not only will they flower from early summer onwards, depending on the variety, but many will flower again each and every year for a good few years to come. If you really don’t have the inclination or cannot face ruining that recent post-Christmas manicure, then cheat. Buy planted containers full of tete a tete, pansies, violas and primroses for colour through to the early summer. Hellebores, such as spring promise and swan lake, or camilla are other excellent plants to consider. They flower from February through to late April/May, have superb green foliage and again will continue to bloom each year, giving that shot of much needed colour at this time of year. On the subject of cheating, an easy way to inject some colour and foliage into our greenery devoid homes, is to embrace this season’s trend of house plants. Succulents (cacti) and bonsai are both having a moment right now. They are easy to care for, look good and take up very little space while creating a statement in any flat, home or office. Look out for them displayed in glass jars and terrariums too. For a more feminine and luxurious plant, try the moth orchid, exquisite and contrary to belief, one of the easiest houseplants to grow, often flowering for months on end. February is also a good month to give growing your own seed potatoes and vegetables a go. With the amount of vegetables needed to produce even a shot full of goodness from my juicer, I am of the view that growing my own is the way to go. The satisfaction of knowing that any vegetables grown leaves very little in the way of a carbon footprint and are undeniably fresh (if picked as and when needed), will also stay with you for the months ahead. So, embrace February. Spend time in the garden, the spa, the gym and come March, the groundwork having been done in February, you will feel rejuvenated, energized and looking forward to seeing the transformation in your garden as winter turns to spring. 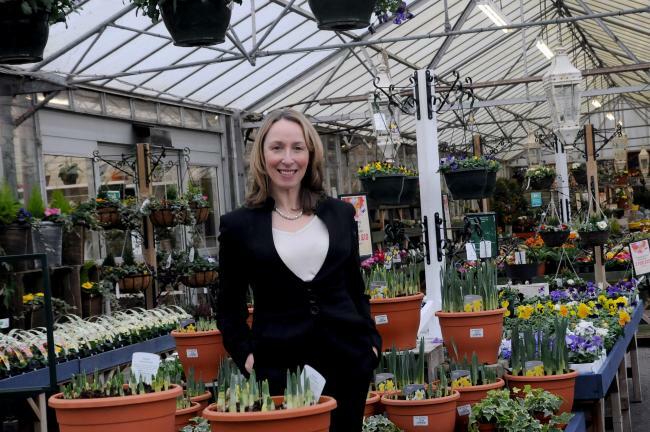 Jill Kerr is a plant buyer and events manager for the Blue Diamond Group of garden centres which include Fryer’s in Knutsford, The Grosvenor in Chester and Trentham Garden Centre in Stoke on Trent.